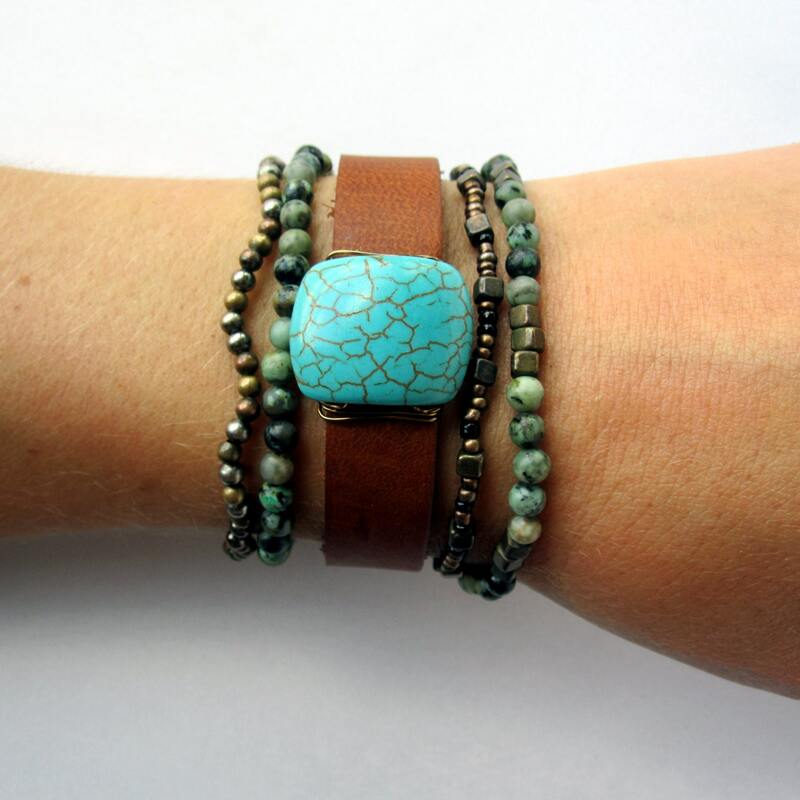 This handmade bracelet is perfect to wear alone or stacking it with other bracelets as shown. 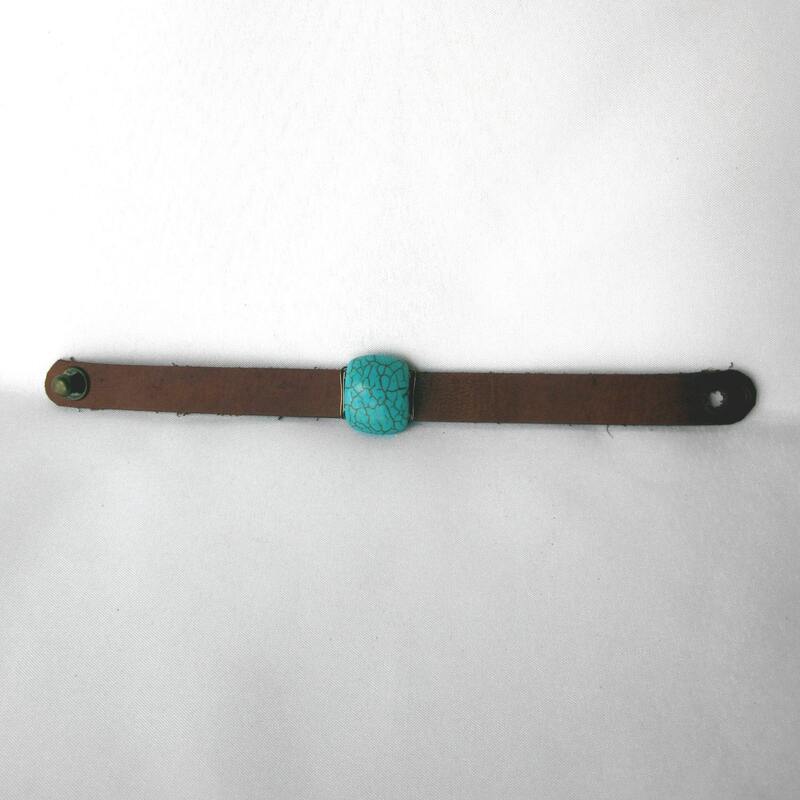 This bracelet features a synthetic turquoise bead secured with antique copper wire onto a 1/2" wide brown leather band. 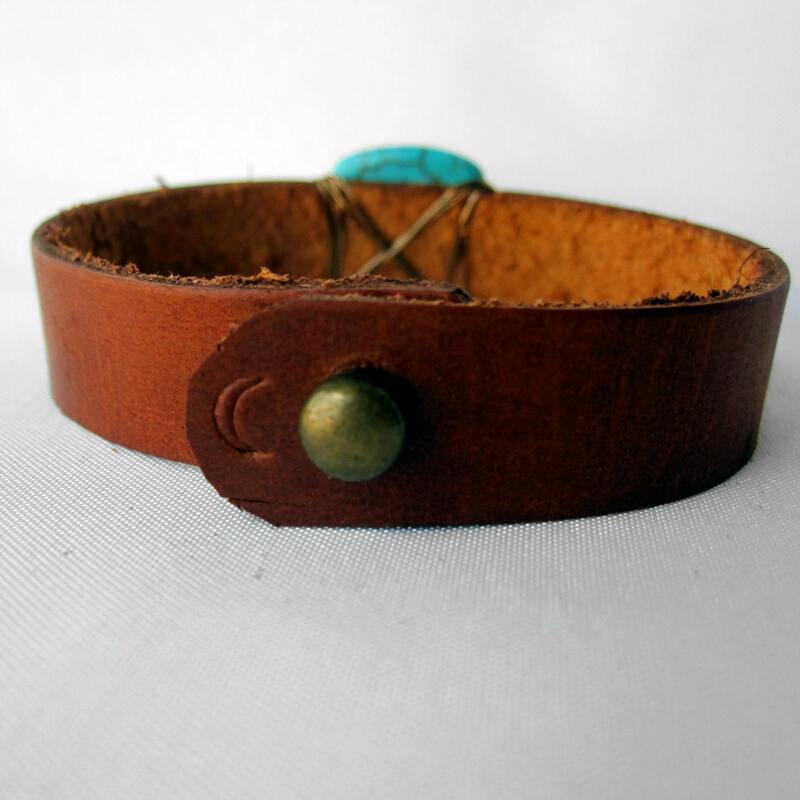 The back of the bracelet features a small moon hand-stamped into the leather and a brass ball closure. The edges are finished with dark brown polish. The band is a size "small" so it is about 7" long. Message me for medium and large lengths. 4. Once you get the measurement of your wrist, I recommend adding 1-1.5" to that number which will equal the best length for your bracelet. 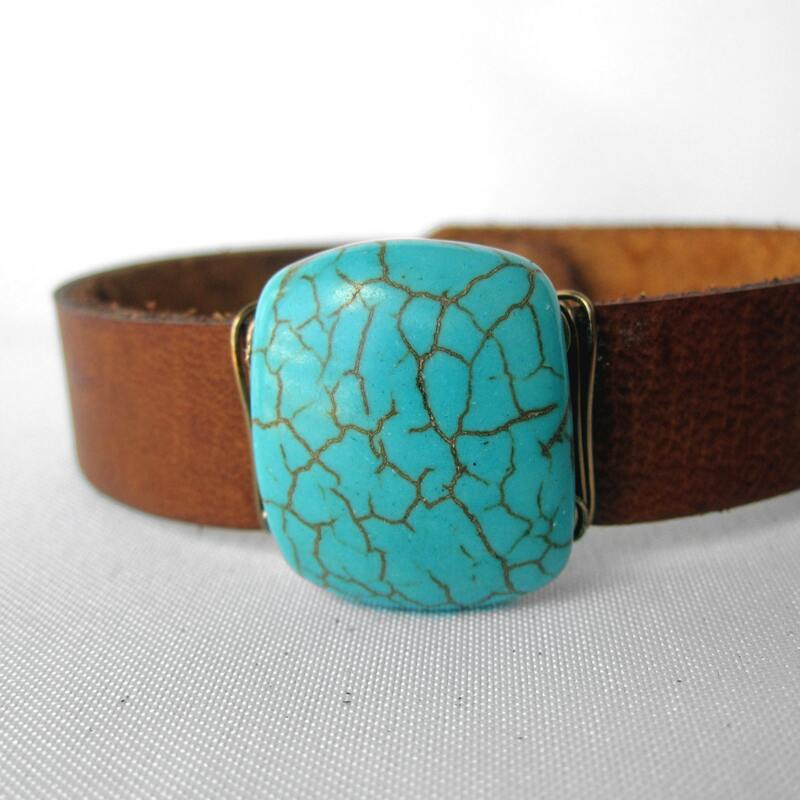 This leather is from Irving, Texas. 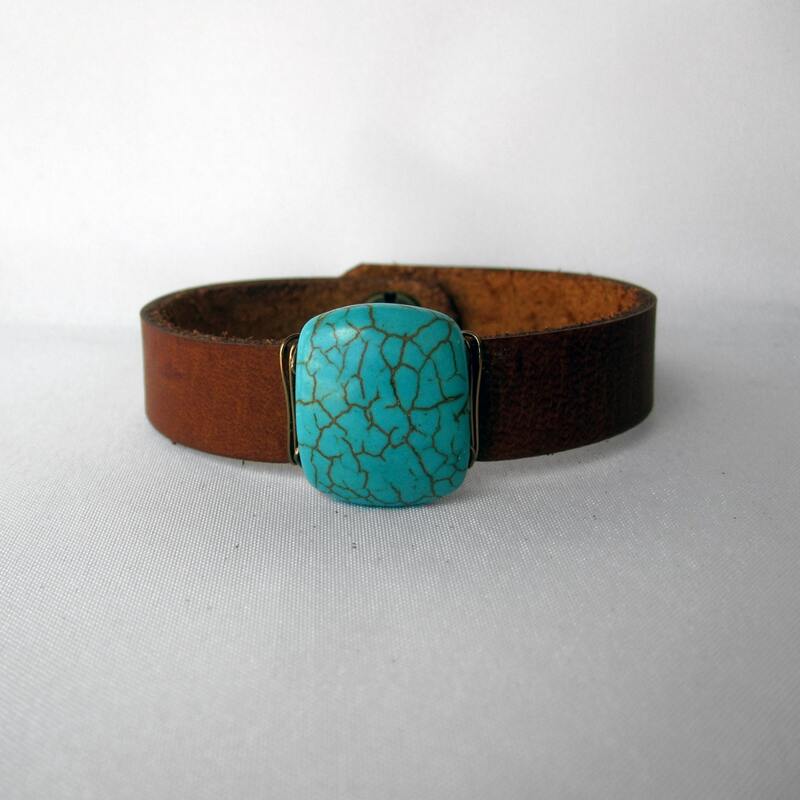 Contact me for custom orders including different stones, leather finishes, leather colors, or sizes. I would not recommend getting these wet as it will change the nature of the leather.